Trees grow just about anywhere, which provides terrain challenges when harvesting and managing forests that aren’t normally found in other areas of outdoor work. 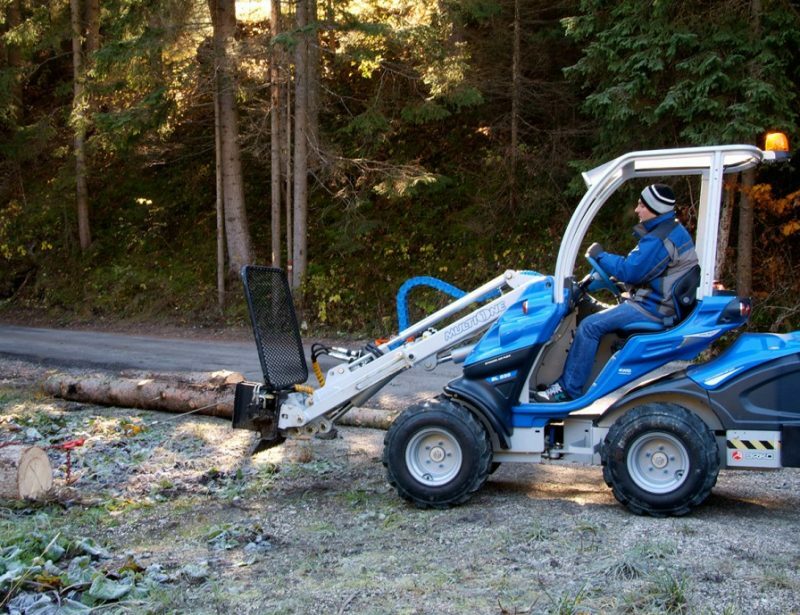 Whether you’re planting, cutting, or removing trees, a MultiOne mini loader gives you every tool you need outside of a chainsaw, and it can get those tools to the places you need to work. 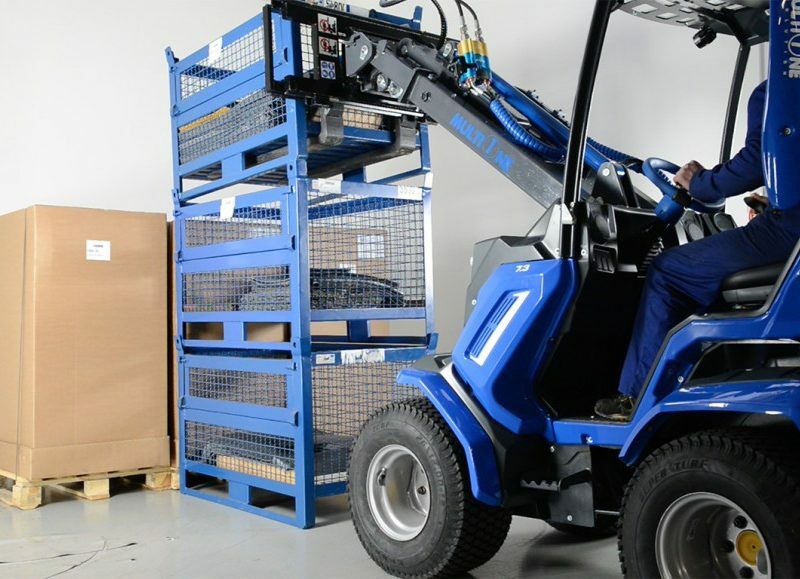 Each wheel is powered by its own hydraulic motor to maintain traction on any surface, reducing the chance of scrubbing to keep a firm grip on rocks, soil, and mud. 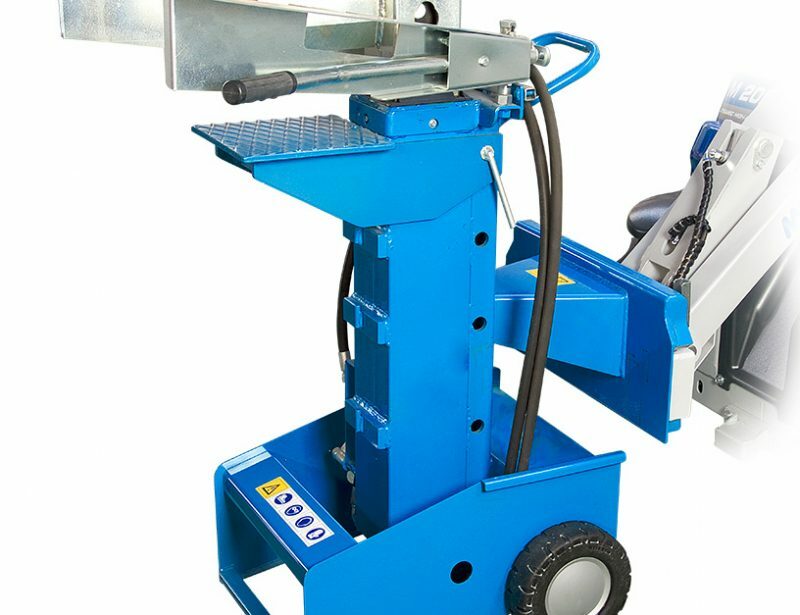 These wheels are mounted to a base that has is hinged in the middle, allowing for an extremely tight turning circle. 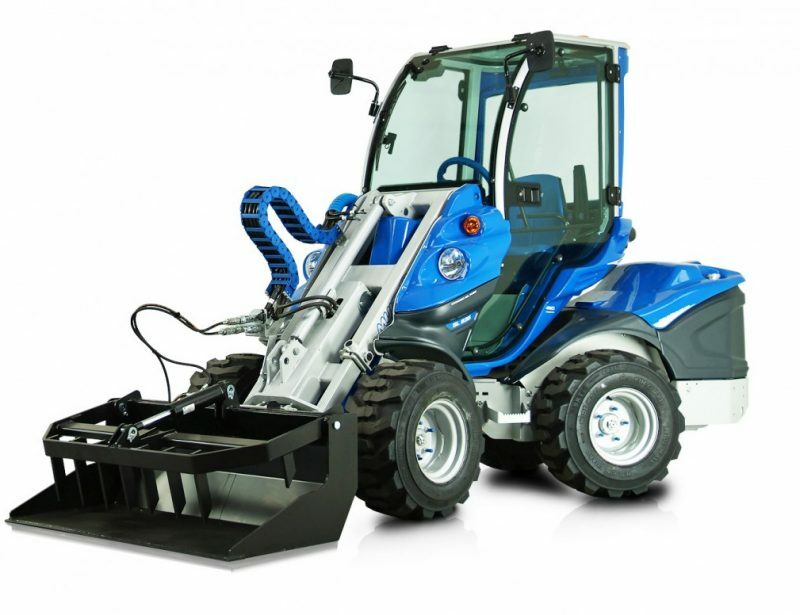 This lets the vehicle maneuver around trees and other obstacles with ease. 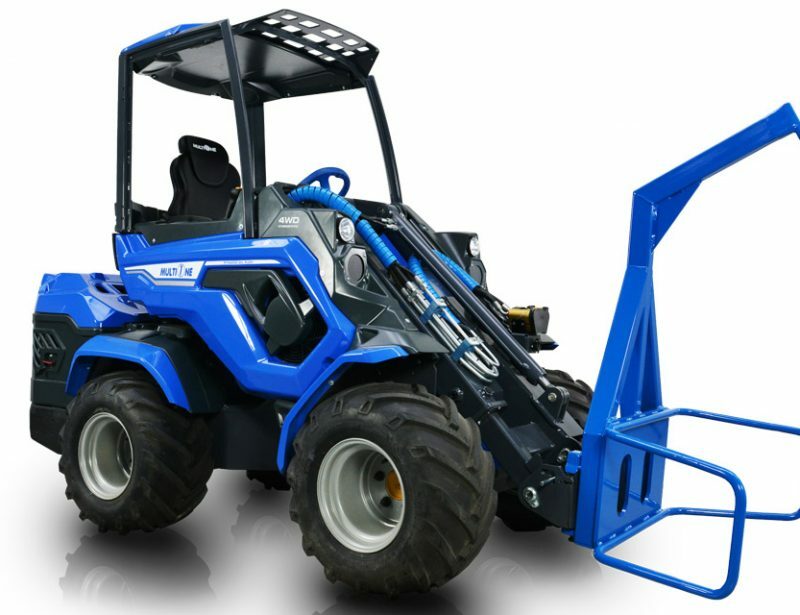 The engine is mounted directly above the rear wheels instead of behind them like a skid steer, while ballast weights are built into the frame, keeping the loader as compact as possible. 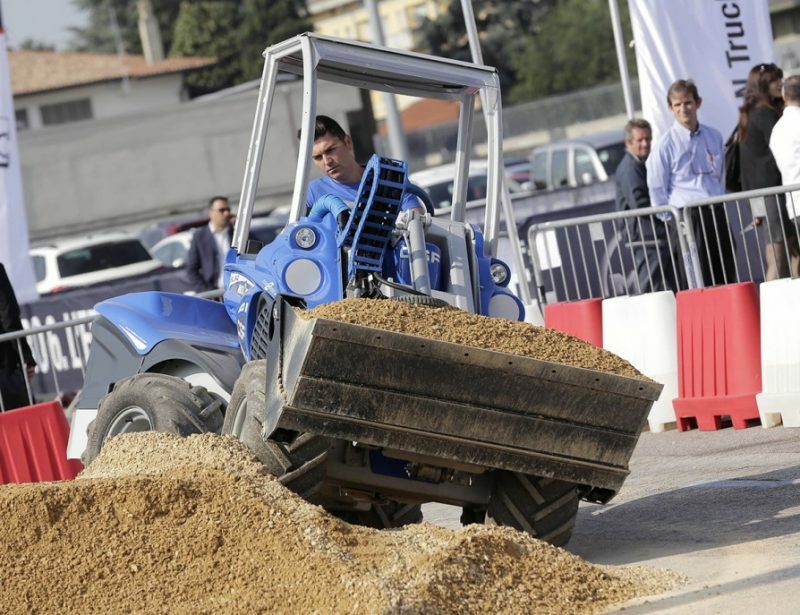 Despite their off-road abilities, top speeds for these loaders are higher than comparable machines. 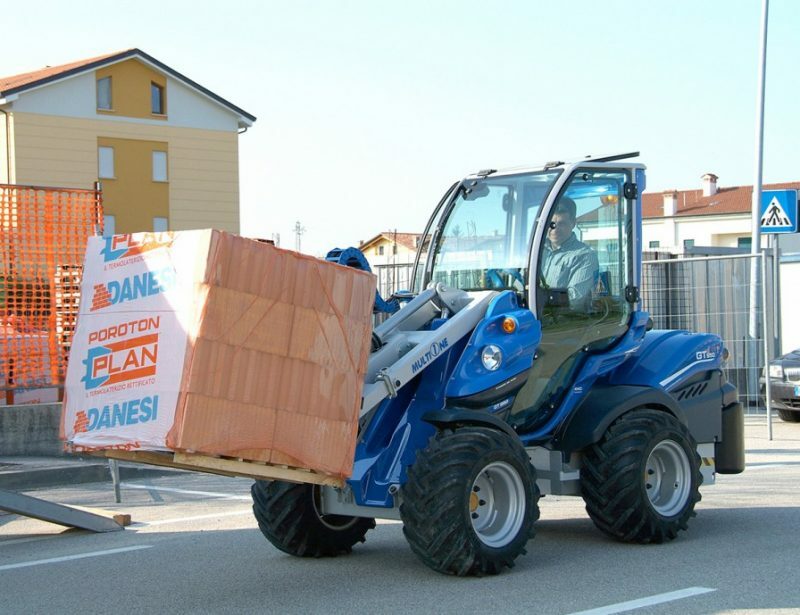 That means they’re fast enough to be driven between work sites yet small enough for easy delivery by trailer. 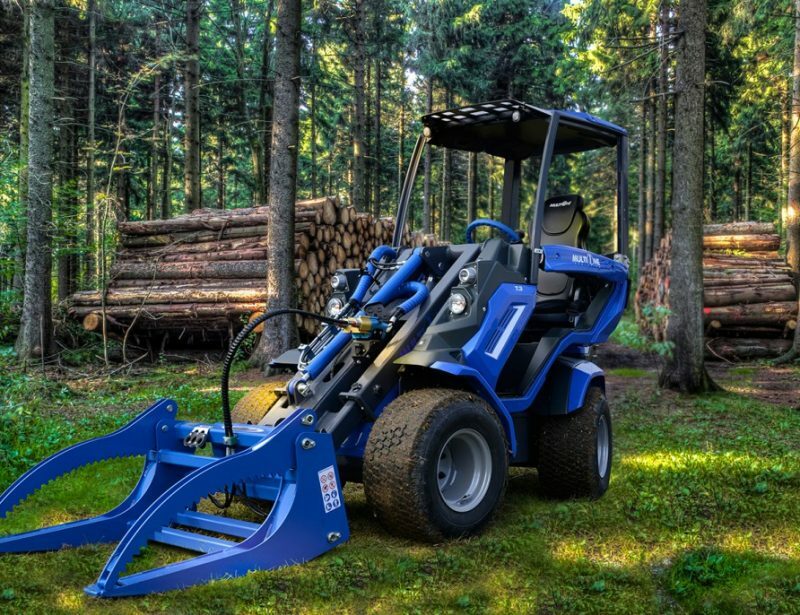 The high stability of the platform makes it possible to work on steep slopes, letting you bring attachments to the wood instead of hauling wood to the tools you need to use. 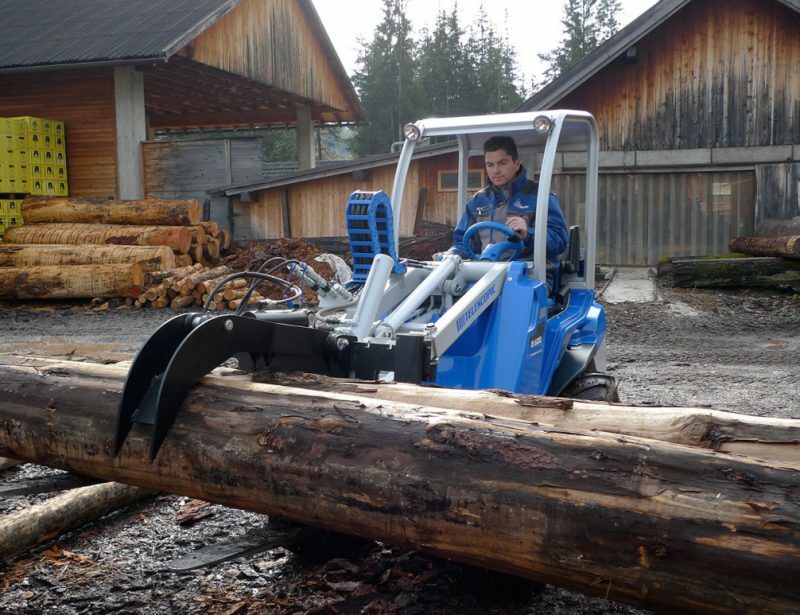 If you need to use a log splitter or chipper shredder, you can drive right up to the work site without having to deal with the limitations of a trailer. Want to cut down small trees? 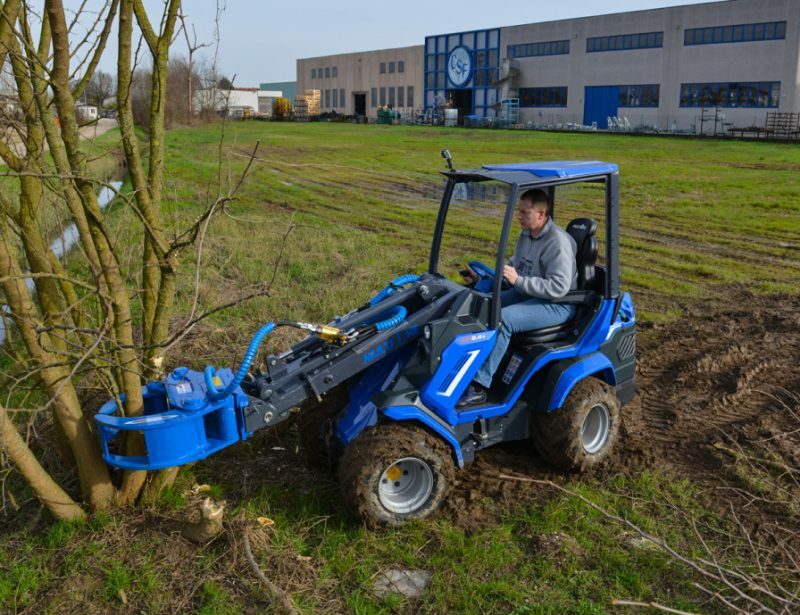 The loader can get the tree attachment into remote places to cut through the trunk and carry the tree away without needing a separate winch or grapple. 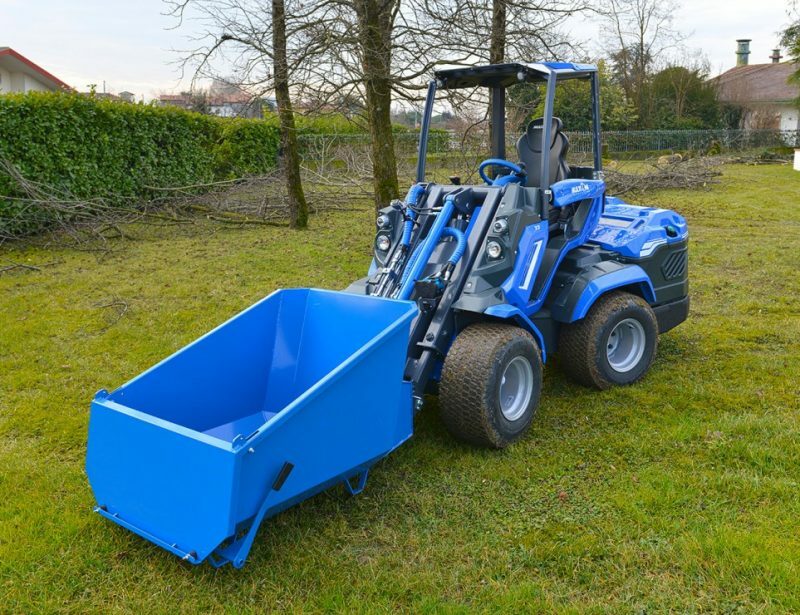 When You’re Ready to Move Wood, Limbs, Leaves and Other Debris, There are Plenty of Material Loading Options..
including standard buckets, a high tip bucket for dumping directly into trucks, and even a bag lifter for moving large piles of leaves. 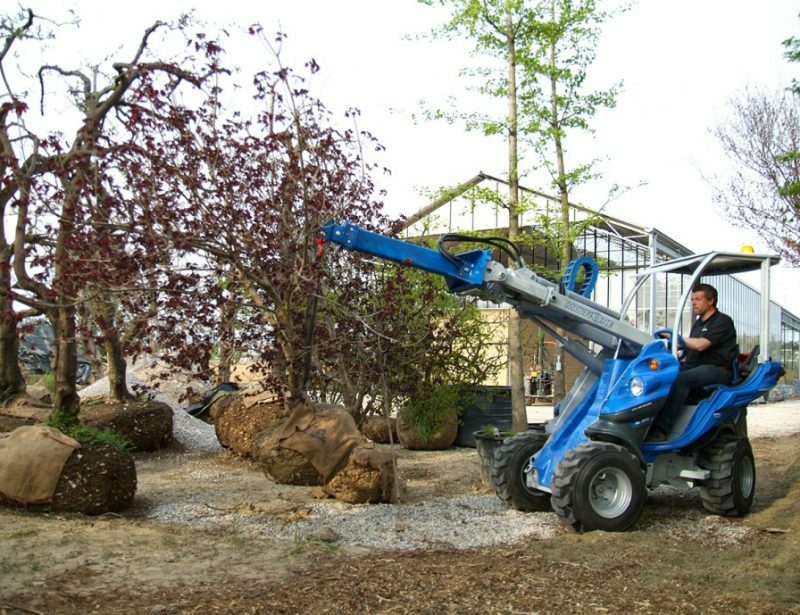 The log grapple attachment can lift large tree trunks, the winch attachment can pull trees out to open areas, and the grapple bucket is perfect for moving piles of limbs. There’s also a work platform attachment for reaching high places, letting you safely prune and shape trees. 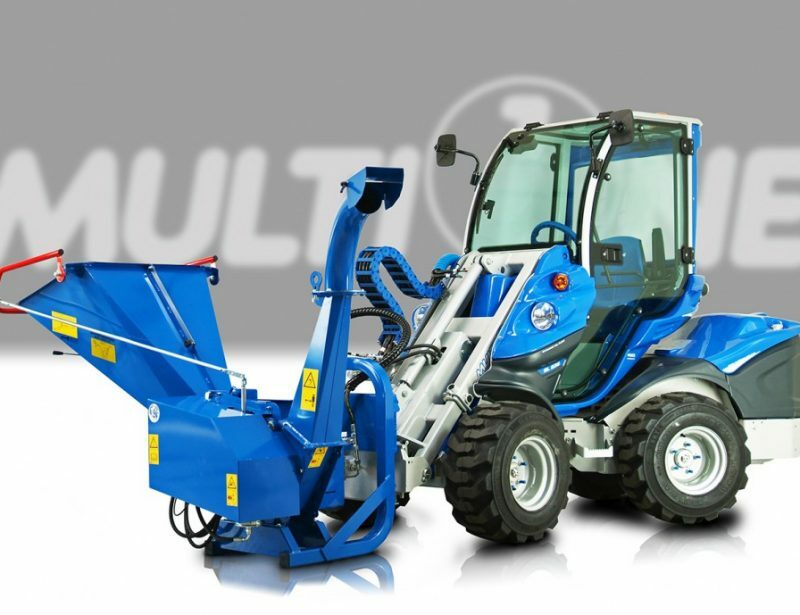 MultiOne’s Mini Loaders are Built to use a Wide Range of Attachments so You Can Pick From Their Options to Best Fit Your Needs. 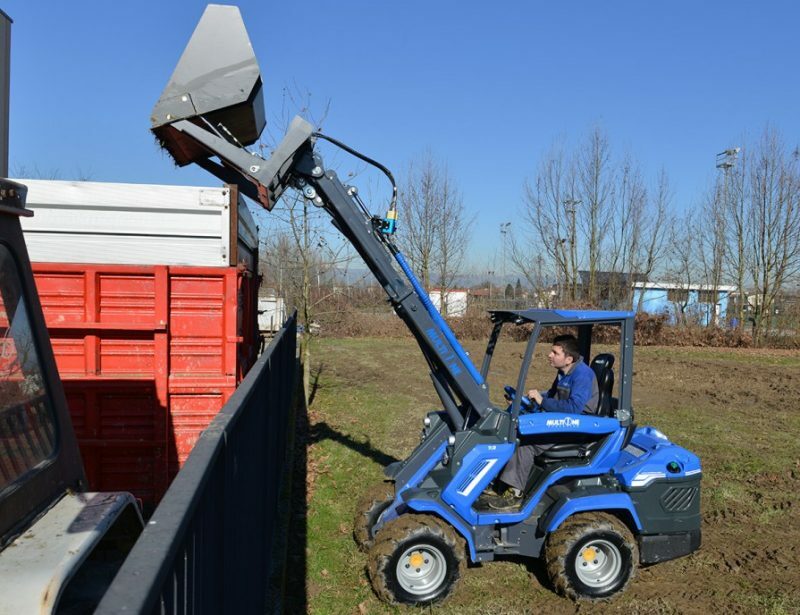 That means you can use farming attachments to work the soil, demolition attachments to remove old construction when restoring land, and even specialist tools for vineyards and landscaping to get to the hardest to reach areas without damaging the trees. 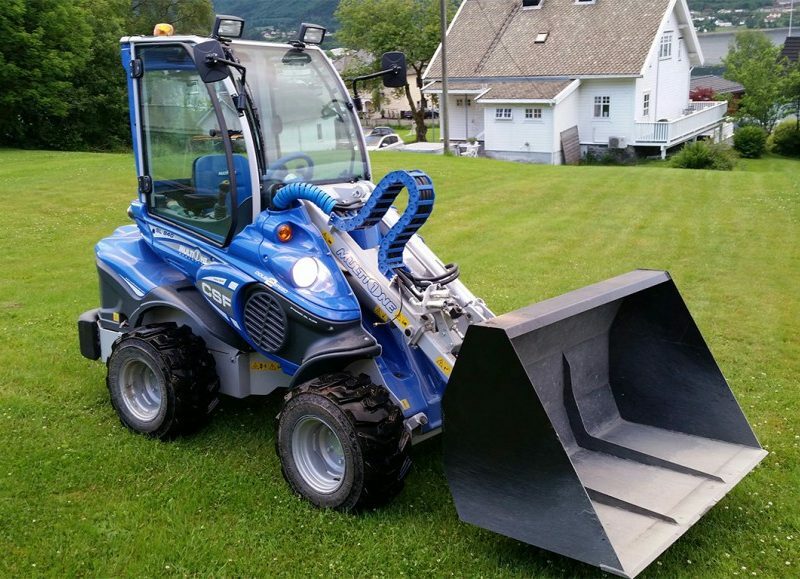 No matter what your needs are, your mini loader can be equipped to meet all of them.